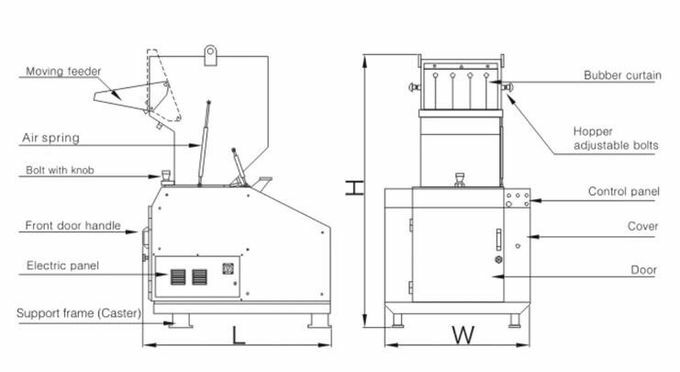 1, Fully sealed crushing chamber, ensuring the low noise level under operation. 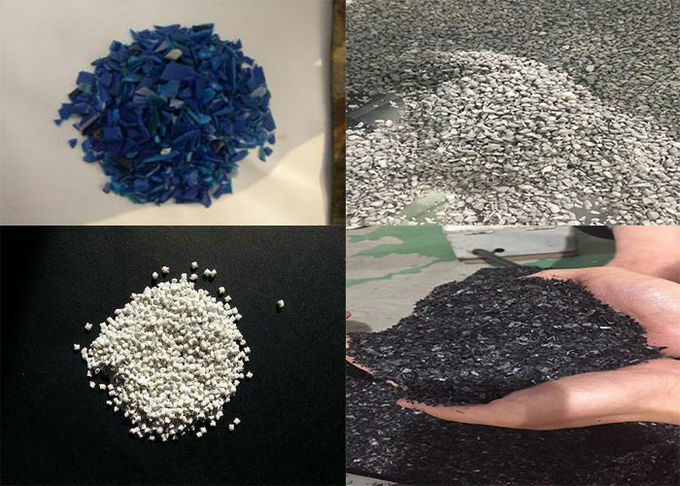 3, Suitable for crushing all kinds of plastic, particularly for various hard plastic. 4, Stainless steel storage drum is easy for washing and can be equipped with suction hopper. 5, The cutters are made of high quality steel with wearability and high rigidity. 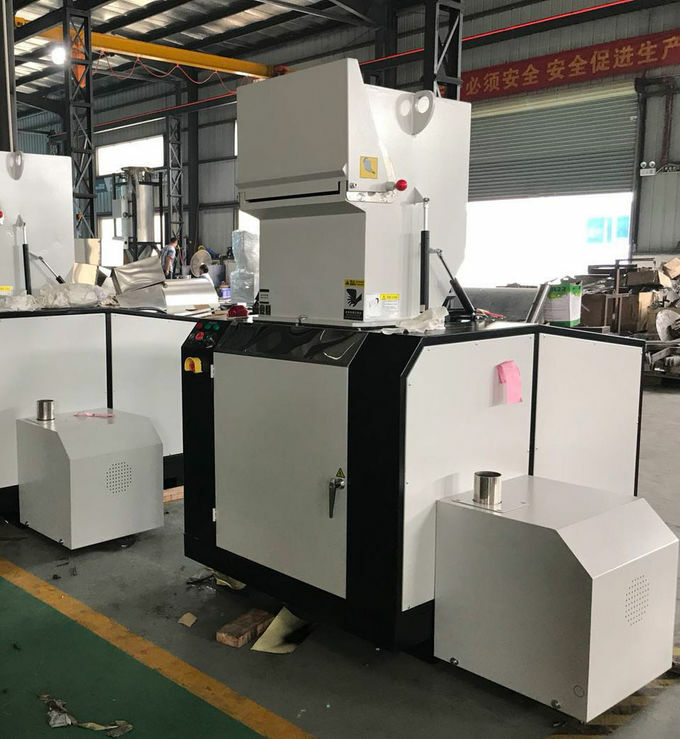 6, Whole set is an integrated sealing structure. 7, .Installed with isolator switch for safer operation and maintenance. 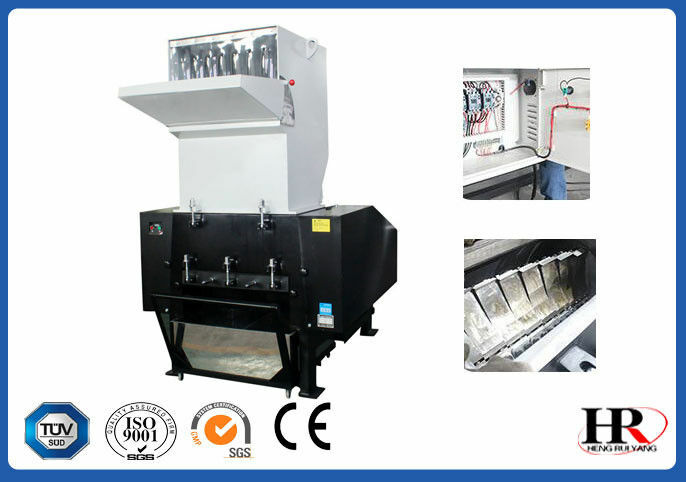 8, Applied with collective blower, can automatically load the materials into bags. 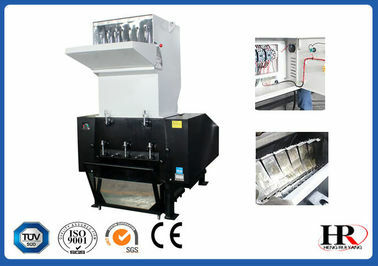 9, Sifting device can effectively separate the powder will be collected in the bag and handy for cleaning. 10. Max. 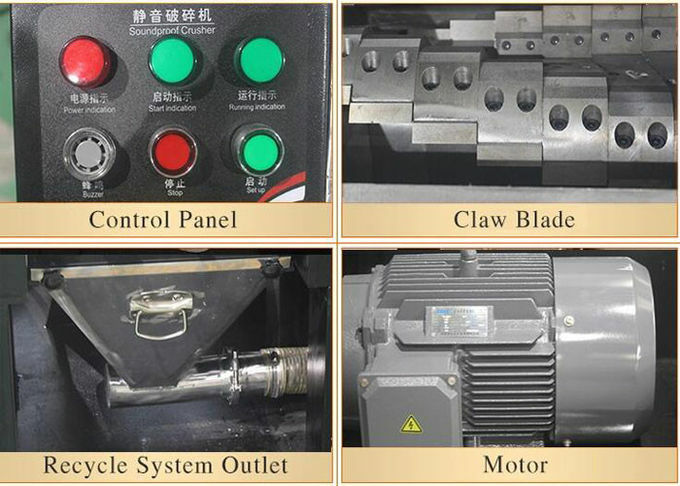 capacity of the machine is subjece to diameter of screen mesh size and composition of material.